TV, Movies and Sport without the contract! You're moments away from awesome entertainment on your Samsung device. Simply choose a 7 day free trial of the Movies, Entertainment, hayu or Kids Pass or get Sky Sports without the contract from £8.99. Select your Pass below, sign up and start watching instantly. Choose from the latest & best movies, must-see TV shows, awesome kids TV, and the freshest reality shows you won't find on Freeview. 7 day free trial. Then £3.99 a month unless cancelled. The best sports action for 24 hours. 7 days of the biggest events. Get a whole month of live sport. *Pass auto-renews after pre-paid period at £33.99 a month, unless cancelled. No contract. You'll get the entire F1® season across 9 months for a one-off £195 payment, that's just £5 per week! After your offer period the action continues at £33.99 a month, unless cancelled. NOW TV Sky Sports F1® Season Ticket: One-off payment. 18+, UK only. At the end of the pre-paid period (9 months) Sky Sports Month Pass automatically renews at £33.99pm unless cancelled. Offer ends 11.59pm 31 May 2019. Offer available to new and existing NOW TV customers only. Offer not available in conjunction with any other NOW TV offer/Combo/promotion. Cancel any time. NOW TV account set up with debit/credit card required. NOW TV terms apply (nowtv.com/terms). Content streamed via internet (costs may apply). One Sky Sports Pass in your account at any one time. Red button and interactive services are unavailable. All live scheduling subject to change. The F1 Logo, F1, FORMULA 1, FIA FORMULA ONE WORLD CHAMPIONSHIP, GRAND PRIX and related marks are trademarks of Formula One Licensing BV, a Formula 1 company. All rights reserved. Watch all 21 race weekends live on Sky Sports. Download the NOW TV app now! 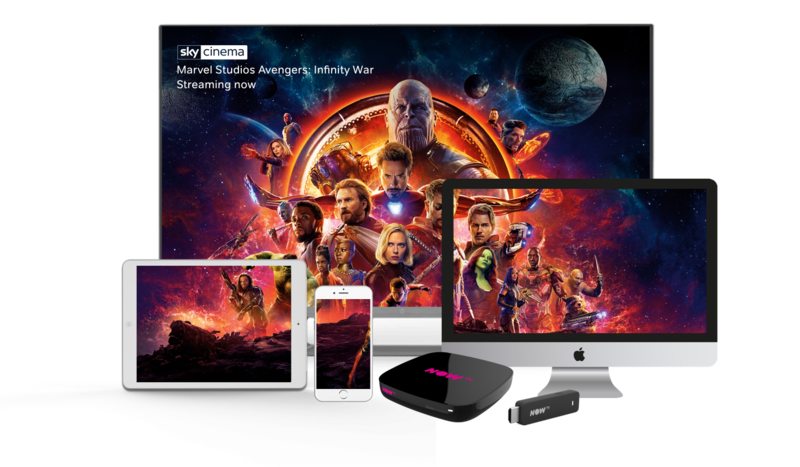 Watch instantly on over 60 devices, including iPad, iPhone, your PC and even stream through games consoles or our very own NOW TV Devices.